Andrea Tharp joined AlienVault in late 2014 as the channel account manager focusing on managed security service providers. In 2015, she was recognized as the sales person of the year and moved into management beginning in 2016 to lead the managed services team in the Americas. While in this role, she provided direction and oversight that delivered over 150% growth in both partners and revenue. Drea was singled out by AlienVault leadership to assume the role of Director of America's Channels where she continues to drive the expansion of our channel programs. 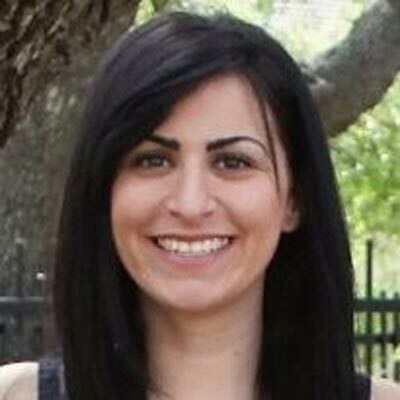 Prior to joining AlienVault, Drea held channel roles at SolarWinds and Dell. Andrea spearheaded the expansion of the managed security service providers (MSSP) teams to respond to the rapid evolution of MSPs to MSSPs. Her leadership and mentoring abilities allowed two members of her own team to step up and head these new teams. She built tools and resources that focus on enablement at the account level to ensure that partners are prepared to make the transition from managed services to managed security services. Andrea also built out both the structure and the team for the LATAM initiative at AlienVault, which is almost exclusively channel. The key focus for the AlienVault Partner Program in 2018 is offering business transformation training for our partners. The evolution from MSP to MSSP can be challenging at best and without appropriate training, tools and support, the migration would be impossible for the average partner to achieve. Our goal is to offer education to committed partners, regardless of background or skillset, to assist them in becoming successful MSSPs. I was awarded President's Club in both 2016 & 2017. This honor recognizes those reps and managers that have gone above and beyond expectations and overachieved their quotas. This award is presented by the AlienVault leadership team headed up by the Chief Revenue Officer. A woman that I greatly admire is J.K. Rowling, because of her ability to overcome adversity and prove that anything is possible. She was able to turn tragedy into triumph to become the success that she is today. This quote sums up why I admire her: "We do not need magic to transform our world. We carry all of the power we need inside ourselves already." In my role, a key focus is helping those on my team develop their abilities and expand their skillsets. Rowling's words inspire me to continue to do so every day. This is what I would say to my teenage self: "Slow down". Life goes by in the blink of an eye. Surround yourself with positive people and realize that you can choose happiness every day. Don't live in the future, and don't be so eager to grow up. That day will come. Enjoy the present and the people around you because life is so unpredictable and change is inevitable. Mentoring skill: I believe that mentoring is the key to career/personal growth. I wouldn't be where I am today without the amazing mentors I've had in my life (both personally and professionally). I aspire to be able to do that for others by sharing my experiences and helping them grow. People tend to be more satisfied with their jobs when they have the opportunity to mentor or have someone that can guide them. You know you've reached a milestone when you see people you've mentored fulfil their own personal and professional goals. "The Power of Habit" by Charles Duhigg is an eye opening account of how the human brain forms habits and how we can change them by substituting them with a new routine. This book made me take a step back and realize that we all have the ability to change our negative habits if we try. All too often people think their circumstances cannot be changed but knowing that much of our behavior is habit can empower us to make these changes. I like that these lessons apply not only to business environments but also to our everyday lives.